Cact. & Succt. J. (US) 32:193, 1960. Type:collected by Knowlton in May 1958 along Los Pinos River, Colorado, POM Nr. 288314. Pediocactus bradyi L. Benson var. knowltonii Backeberg, nom. inval. Cactus Lexicon ed.3, 403, 1976. Colorado: fh 27.5, La Boca Ranch, 2,000m. New Mexico: fh 40.5, New Mexico/Colorado border, 1,900m. 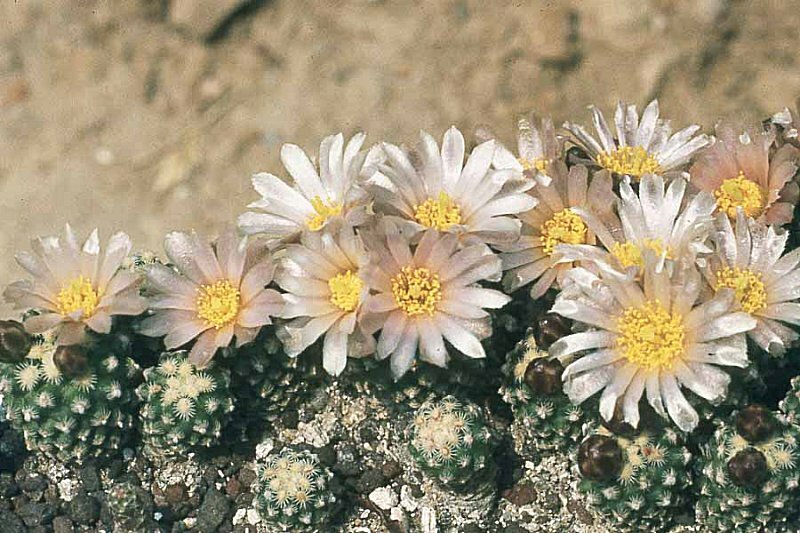 Pediocactus knowltonii, fh 27.5, La Boca Ranch, 2,000m.